Sarah Clancy is a page and performance poet from Galway. She has three collections to her name, Stacey and the Mechanical Bull (Lapwing Press, Belfast, 2011), Thanks for Nothing, Hippies (Salmon Poetry, 2012), and The Truth and Other Stories (Salmon Poetry, 2014). Along with fellow Galway poet Elaine Feeney she released a poetry CD called Cinderella Backwards in 2013. She has been placed or shortlisted in several of Ireland’s most prestigious written poetry competitions, including the Ballymaloe International Poetry Prize, the Patrick Kavanagh Award, and the Listowel Collection of Poetry Competition. In performance poetry Sarah has won the Cúirt International Festival of Literature Grand Slam Championships, and has twice been runner up in the North Beach Nights Grand Slam. In 2013 on her second go at representing Connaught in the All- Ireland Grand Slam Championships she was runner up. She has recently stopped sulking about this. In 2013 she received an individual artist's bursary from Galway City Council. She is frequently invited to read her work at various festivals and events around Ireland and abroad and can’t believe she’s still getting away with it. 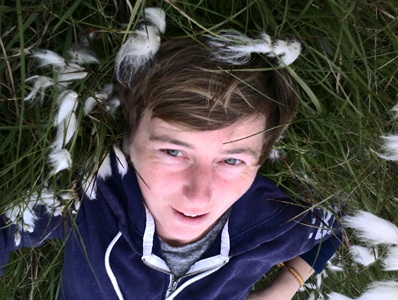 She is on twitter @sarahmaintains and can be contacted by e-mail at sarahclancygalway@gmail.com. Q: The El Salvadoran writer and revolutionary Roque Dalton once suggested that poetry, like bread, belongs to everyone. Do you agree (that it does, or that it should)? And what, if anything, do you the think the poetry and example of figures like Dalton have to offer to us in Ireland today – a state still very much defined by landlordism, corporate theft and a culture of engineered inequality at numerous levels? A: In my experience Roque Dalton is not well known in Ireland at all, and in fact, even though I am half in love with the idea of him, given my very poor Spanish skills I have not read anything like enough of his work myself. That said once upon a time when I was in Mexico city with a great activist from Chiapas she told me an anecdote which may be an urban myth but which I loved, of his being asked by Mario Vargas Llosa, at a literary conference or seminar in Mexico city, whether he thought artists should or shouldn’t be political and that he kept repeating that he didn’t understand the question over and over again no matter what way they phrased it or repeated it. Classy. For me though there are a couple of prevalent types of ‘political’ artists, firstly the ones I meet on the demonstrations, in the tedious meetings in community halls, and travelling the length and breadth of the country using whatever they have – art and talent, petrol, cooking skills, PA systems, etc, to create change, the ones who realise like Roque Dalton, that being an artist does not excuse them from doing the actual work of activism as well. Secondly there are the ones who don’t realise they are being political – who in words paraphrased from Adrienne Rich allow themselves to be used as decorations at the tables of power, whose art therefore supports the status quo often even whilst mildly criticising it. While I know that sounds harsh I don’t mean it in terms of targeting my fellow artists for criticism – I most frequently ask that question of myself in all honesty, and it’s a line I have stepped over a few times. What I mean really is that as far as my analysis goes almost everything is political – there is no neutral space that an artist can find and claim to stand on and write from and if you accept that fact (some don’t) then it’s better to decide what you stand for yourself, to pick where you want to position your work and your life and then to do your best not to be tempted by shiny trinkets away from that. Anyway though on the substance of your question for me I don’t really feel that everyone is or should be interested in ‘poetry’ but I think almost every human is interested in the poetry of life – the moments which are indescribable in our pragmatic daily language – the moments which are mysterious, the longings we have that we have to find mirrors for in songs and art and culture – whether high or low-brow. On that level, yes, I think poetry definitely belongs to everyone and absolutely should, and for me personally I am less interested in academic forms of poetry than in poetry that communicates and moves people. I find that people connect with poetry that believes something – poetry that believes in itself. I wouldn’t like to overestimate the potential of poetry to affect landlordism, or inequality, or corporate theft but I think it can have an impact and effect on people, and people are the only ingredients in creating social change – poetry can inspire, support, rabble rouse, console, enrage, all of which are intrinsic in getting people to believe in themselves enough to believe they can change things for the better (or worse in fact!). It’s also interesting to think that for all the pastoral poets we have who eulogise the Irish landscape that we have far fewer who investigate the ownership or control of it or, for example, the degradation of it. Q: It occurs to me that your own poetry excels in bringing to light experiences that may otherwise be hidden, forgotten, or brushed aside – both politically and personally. I’m thinking of searing poems like “Resilience”, or “The Night After the Assassination”, which was written in memory of Julio Fernando Cardona, murdered in Mexico in 2011. Another piece opens up “in a dark bedroom, in a dark house, on a dark street / where no one ever thought to leave a light on for us”, but then concludes that because “it's the dark [...] it's best to leave it be” (even though the preceding segments of the poem seem to suggest the opposite). Could you comment on this aspect of your work – the urge not to let things be, and the tensions that may accompany this impulse? A: That’s a good observation – when I write I do struggle a bit with a tension caused by a desire to write into and from all of my deliberate and subconscious human experience – to uncover and reveal any darkness – this I urge I think comes from a childish rebellion against repression; the Ireland I grew up in was a pretty conservative place and most people were most comfortable most of the time with pushing anything uncomfortable as far under the carpet as possible and so I veer between wishing to excavate all of it, and being mortified at the thought of doing so in public. In my own life I’ve had to do a good bit of excavating of my past and my thoughts, beliefs and the layers of meaning and culture I have given to them in order just to be on an even keel – to be a decent human to others and to be living comfortably in my own skin. My poetry has been part of that. The "It’s the dark" poem you refer to is actually pretty literal – when I wrote it I was in the middle of a process that lasted years where I tried to have a man who abused me in my childhood held to account and that process actually really left me feeling that way – conflicted about whether going back over and into the past was worth the risk and despair and cynicism it caused me. My last book, The Truth and Other Stories, was mostly written during that period and for that reason it’s not the type of work that I think I could every write again. (This may be a good thing). The best way I can describe it is that I wrote it from a position of doubt and uncertainty where in the real world I was having to tear strips off what I thought was myself – basically to disassemble myself and writing it was as a means of survival a way of keeping some core self together. In terms of "The Night After the Assassination", that was a poem written from a feeling of extreme guilt and discomfort. I wrote it in a spectacularly beautiful place called Pie de la Cuesta, just a few kilometres outside Acapulco in Guerrero state in Mexico where I was staying in a really lovely tiny hotel with a swimming pool from which you could see the most fantastic sunsets every evening. I’d had the chance to travel from the very south of Mexico on the border with Guatemala with a caravan of migrants and a group of mothers trying to find their sons and daughters who’d emigrated from Honduras and Guatemala and never been heard of again. (There are more than 120,000 people missing in Mexico many of them presumably victims of the drugs war and the war on drugs) That ‘caravana’ as they are called had reached Mexico city after about ten days of a journey and we had all streamed almost victoriously into the Senate building there and had a reception where activists demanded that Central American migrants should be given transit visas to allow them to have safe passage through Mexico to their destination which is the US. My companion and I had left the caravana after that seeming success and the migrants had carried on by various routes up north through Mexico to the US border. I went off to the beachside resort and about two days later while I was lazing around I read in the newspaper that Julio Fernandez who had been with us had been murdered outside a refuge for migrants in a place called La Lecheria in Mexico state. The injustice of the fact that someone like me could swan around Mexico or anywhere else, crossing borders, hopping on buses and joining in adventures that made me feel alive and vital, and that a young person like all those hopeful young women and men who made the journey with us would experience the same thing as a life-risking, fear-filled struggle for existence that could easily (and frequently did) cost them their actual lives has never left me. It made me grasp in a real way the arbitrary and murderous nature of borders and the deep flaws in the supposed logic of nationalisms and citizenship. And that’s well for me to have had that learning experience, but that journey was the end of the line for that young man and many more like him. Those parallel experiences are prevalent here closer to home too and I think are the real story of what we term ‘inequality’. For example, a young Traveller man or woman experiences an entirely different Ireland to the one that I live in, someone in direct provision lives in a kind of almost-Ireland zone that excludes them from Irish society even though they can see and touch and hear it all around them. I have a feeling that in the climate of late capitalism it will end up being the people in these ‘excluded’ zones who show us the way out of own environmental, social and economic disasters. Q: Your poems often balance propulsive emotion with what, on the page and in performance, seems like a highly controlled sense of rhythm and style? I’m thinking of densely layered dramatic pieces like “For Lazarus, Whose Alarm Clock is Ringing”, or even “Counting on your OCD Streak”. When you’re writing, how important is it for you to maintain an awareness of the formalities of poetry – meter, line-breaks, and the overall size and shape of the poem, as it arrives? Do these features of your work come naturally and intuitively, or are they more the result of study and deliberation, on your part? A: I’d have to say that that rhythmic style comes naturally and intuitively from working on the sound of the poems rather than the page layout, form or style. Particularly in longer pieces I often use a surfeit of words and pile images on top of images, not all of which are crucial for the meaning of the poem, in order to transport the reader from one pitch point in the poem to another. When I am doing this, in a way, it is to create a slightly overwhelming overstated effect – a bit like a wall of sound technique in music production. I don’t have any idea why sometimes I wish to work in that form and think it is excellent, and then sometimes I think it is my greatest weakness as a writer. The one thing I would say about the poems I have that take that wordy overwhelming approach is that they tend to be the ones that come from the most energetic impulse I have in writing – that I have an urgency when I am actually writing them that keeps them on the move. Every so often I try to write a nice little lyric poem or something in a particular form just to make sure I can do it but frequently those take on a life of their own as well. I have great trouble with line breaks, and usually that is because what can be said in a breath is much more than what can be said in a conventional line on the page of a poetry book – and so the natural pauses on the page are not the same as the natural pauses I would use if I had learned a poem off by heart to perform it. All that said I do write in other styles as well and have plenty of poems that rely for their impact on a reader taking the time to read them calmly on the page and absorb their meaning. What’s interesting to me just now is the next book rather than my past work and although I have been doing plenty of events, due to working full-time I’ve had less and less time to learn poems off by heart and I think for that reason my writing is changing too. The immediacy of needing to stand up and engage people with the words is a bit more remote and so maybe I’ve let go a little of the devices I had to do so. At the moment it seems to me that my writing has changed for the worse but hopefully in the long term that won’t prove to be the case. Q: As well as receiving acclaim for your poetry books, you’re famous for the performance of your work at slams, rallies, and other events – often in support of human rights and social justice campaigns, such as the water charges movement or the campaign for justice in Palestine. I’m curious to know how your activism and your writing life interact? Do you find yourself having to choose between giving time and energy to one activity at the expense of the other, or are they pretty much mutual and continuous? A: For the last three years I have been working in a hectic full time job. It’s community-related and is work worth doing but it has really impacted on the energy I have for writing and I’ve found that I have not been able to give any attention to craft or to developing my work in new directions although I have been performing and out in public at poetry related events. All that said, prioritising my own security was what I had to do, I’d had a rough path through the recession work-wise as well as having to deal with all the personal issues mentioned above, and so taking the job and earning my living and being able to be generous and independent were really my chief priorities over the last number of years. While the work schedule has impacted on my poetry I have to say that the soul-destroying and devaluing experience of trying to deal with social welfare and applying for jobs and getting no responses was perhaps worse for it; in my opinion you have to have a bit of self-worth and self-belief to write at all. It’s also worth saying that I have found it easier always to earn my living away from poetry, I am not enough of a hustler I think to survive on grants and workshops and readings and I find that being in that situation can sometimes feel like you have to compete with your fellow writers for crumbs from some establishment fund and I find it easier not to operate in that sphere if I can help it. The other part of the tension that you ask about above, how activism interacts with my writing is interesting for me as I don’t think that one would really exist without the other. It’s not that I am such a great or committed activist – I know loads of people who work much harder and more committedly than me on many causes but the motivation for writing for me is to delve into the experience of what it means to be fully human and alive and one of the key aspects of humanity is really our interconnectedness and interdependence. The way we live now in the west almost seems to seek to negate that with almost every aspect of human life seen as an opportunity for profit-seeking and poetry or at least my poetry and that of the many writers I admire is an attempt to refuse that ideology. To write the connections, doubt, fears love, defiance and possibility back in and to refuse to let there be only one dominant narrative. A: This isn’t cheesy at all. I think to a certain extent, the romantic love poems were or are related to some of the issues I’ve discussed above – they arose from my repeated failures to make real human connections with people, I think most probably because I was disconnected from myself. As regards the rest, although a lot of my poetry can be a bit dark, personally I take an extreme amount of pleasure in life. I love it and wake up with an appetite for every day and the various pleasures and interests it might bring me – I realise that this is an extremely lucky and protective mentality to have. At the times in my life when I struggled with mental health or with practical difficulties the loss of this appetite for each day was what most affected me but I am lucky enough for that to have been a rare occurrence in my life. My whole family are a bit like this, we got it from my mother I think who has never missed the slightest opportunity for pleasure whether that is art, food, gossip, nature, etc etc.